This past Monday (July 11) a woman was walking her dog (a standard poodle; ~65 lbs) in Leita Thompson Park in Roswell, GA at around 10:30AM when she encountered a juvenile coyote. Unfortunately, the coyote attacked without provocation and the woman was bitten on her arm. Her dog escaped and was uninjured. Other people nearby came to assist and the coyote was subsequently killed and its body was sent to the Georgia Dept. of Public Health to be tested for rabies. That test came back positive. The woman is now being treated with post-rabies prophylaxis and is doing well. An unprovoked attack by a coyote on a human is an extremely rare event, but this situation underscores the need to treat all animals with caution. Raccoons are the primary reservoir for the rabies virus in the southeastern US and further testing on this particular coyote will be able to detect its infection source. More than likely, this juvenile coyote (which was probably born sometime in March) caught rabies from an earlier altercation with an infected raccoon. To put things in perspective, a total of only 3 coyotes tested positive for rabies throughout the entire state of Georgia in 2015 and this is the first confirmed case of a rabid coyote in 2016. However, 2 of these 4 rabies cases over the past 18 months have occurred in Roswell. 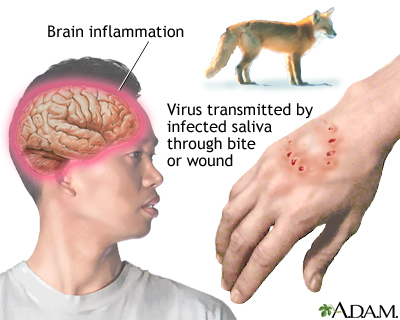 Approximately 250-350 cases of rabies occur annually in Georgia and the vast majority are found in raccoons, skunks, bats, and foxes. Put another way, the chances of a rabid animal in Georgia being a coyote are typically less than 0.01%. Nevertheless, the public should be vigilant for rabid animals and report any unusual animal behavior sightings to the local police department. Again, the typical transmission vector in our area is the raccoon, so be aware of ALL animals, not just coyotes. Do not attempt to handle injured wildlife and make sure that your pets are all up to date on their vaccinations. We know that the presence of wild animals in the community can be of great concern, and there appears to be a thriving coyote population in Roswell. Unfortunately, there are no easy answers when human-wildlife conflict arises, but the best course of action is to be proactive and try to avoid conflict from developing. Our website provides recommendations for trying to minimize human-coyote conflict , and this advice is applicable to most species of wildlife. It is just not possible to eradicate all coyotes – others will come in and fill the void – but selective removal might have to occur in some instances. Certainly no one wants rabid animals in areas where they might come into contact with humans and pets. 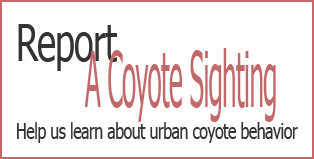 Please use our website (http://cs.berry.edu/coyote/report.php) to report coyote sightings and/or incidences so that we can better understand urban coyote populations and help to contribute towards safe and effective management decisions.